P.J. Mechanical specializes in new construction, construction retrofits, renovations and alterations of new and pre-existing air conditioning systems. We are proud of our longstanding reputation for dependability and strong commitment to excellence. We establish a comprehensive schedule early on in the project and work with design engineers to meet specific project needs and challenges associated with large and complicated building retrofits. Our projects have included large trading and telecommunication centers, fuel oil systems, executive offices, restaurants, hospitals and institutional and industrial compounds. We provide preventive maintenance programs for clients with supplemental HVAC systems. We are currently retained by more than 1,000 service accounts in the New York metropolitan area. Both large and small, corporate and retail, institutional and technological. A full staff of service and supervisory technicians is available around the clock to ensure that our clients are never without service. Pride in our service and dedication to the improvement of our industry and workforce are the twin cornerstones of P.J. Mechanical Corp. We provide precise budgeting and valuable engineering services to our clients. Much of this is done in the preconstruction phase as well as during the design development phase. PJ Mechanical Corp. aims to provide best in class installations, service & maintenance and building management needs. P.J. Mechanical Corp.’s commitment to environmental stewardship and sustainability extends far beyond the materials we install in environmentally friendly and energy efficient buildings. At P.J. Mechanical Corp, we continually seek opportunities to reduce our carbon footprint and our impact on the planet. We have made it our ongoing responsibility to improve the energy efficiency of our operations, minimize our waste, purchase materials from suppliers whose manufacturing practices are within EPA standards, and continue to build on our best practices of installing the most energy efficient and healthy materials available. We are currently members of the US Green Building Council and actively seek to build LEED Green Certified Projects whenever possible. Most recently, we completed projects for Yankee Stadium, Citigroup, Gotham Center, Moody’s and The Bank of America Tower, all of which are LEED Green Certified Buildings. The Bank of America Tower received the LEED Platinum Certification, for having been the most sustainable high-rise tower in the world. Maintaining a comfortable and productive work environment requires a large amount of energy. Some buildings have estimated up to 35% of total energy costs are used for indoor ventilation and comfort. P.J. Mechanical Corp. is committed to energy savings without sacrificing comfort and indoor air quality. P.J. Mechanical Corp. ensures the highest quality in preventive maintenance. Clean coils, air filters, and water strainers are our first line of defense for energy efficiency. Time clocks are active and meet daily schedule. Our Temperature set points (both heating & cooling) are correct and not excessive. P.J. Mechanical Corp. reviews every application and provides both options and recommendations to ensure efficient energy consumption. P.J. Mechanical takes great pride in ensuring safety on all our worksites. We partner with OSHA and other governmental safety organizations with the goal of exceeding industry standards for safety. As part of our continued commitment to the training and education of our team of technicians, PJ Mechanical Service & Maintenance Corp. participates in an apprenticeship training program at the Service Fitters Training Center. The training center is in partnership with labor unions and management, with the focus of providing training for state of the art equipment and educational programs. 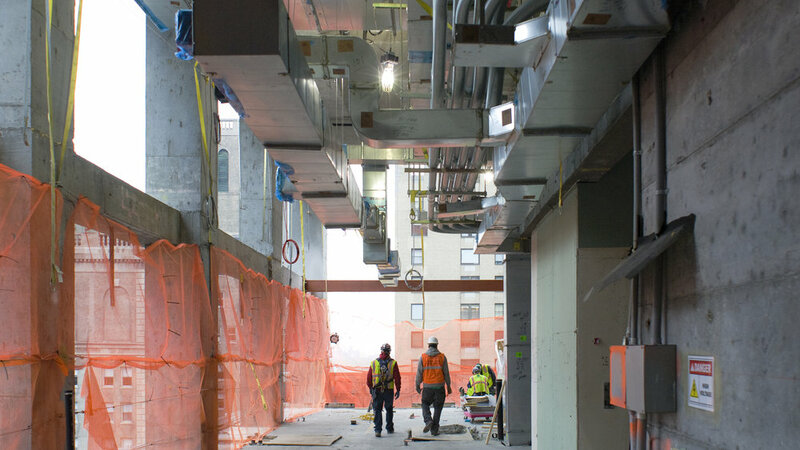 Trainees get hands-on experience with some of the most significant new construction projects in NYC. Did we mention it's free? At P.J. Mechanical Corp. we are are always looking to build and grow the next generation. 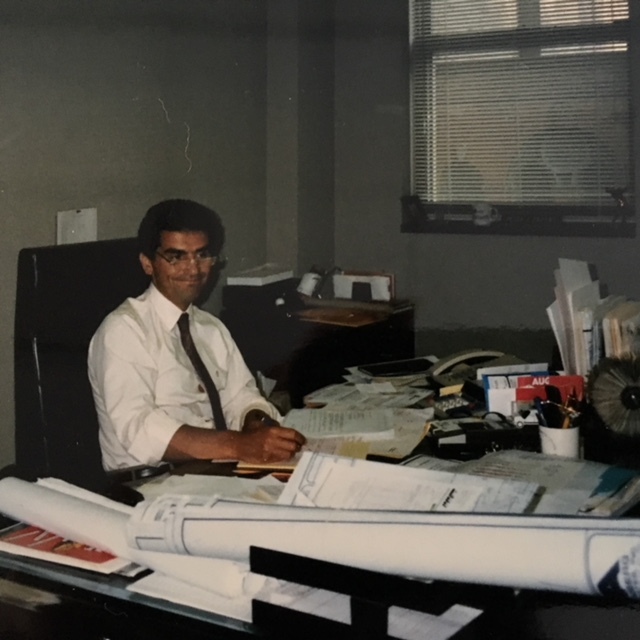 In 1971, Peter J. Pappas Sr. decided to start his own company. Working from home with his wife Cathy as his assistant. He launched the P.J. Mechanical Corporation. Nearly half a century later, Peter served as Chairman of the Board of P.J.M. Holdings Group, the family owned and operated corporation - consisting of P.J. Mechanical Corp, Delta Sheet Metal Corporation, P.J. Mechanical Service & Maintenance Corp., P.J. Mechanical Building Services Corp. and Expert Insulation Corp. 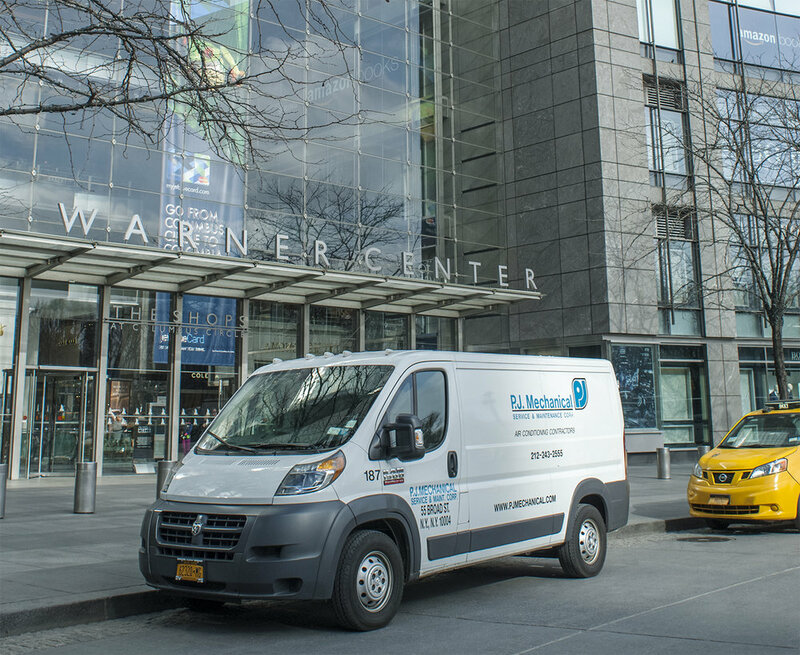 Since its inception, the company has grown to become the largest HVAC contractor in the New York Metropolitan area and among one of the largest mechanical contracting firms in the northeastern United States. In 2005, PJ Mechanical Corp. was selected to work on mechanical contracting for the new World Trade Center Project at Ground Zero, and 9/11 Memorial and Museum. We took great pride in and were honored to complete those and other projects at the WTC site. P.J. Mechanical Corp. has also worked on major renovations at signature properties such as the Chrysler Building, Citicorp Building, Madison Square Garden, AOL Time Warner Center, GM Building, Park Avenue Atrium, NYU Medical Center, Weil Cornell Medical Center, Carnegie Hall, Carnegie Tower and Morgan Stanley Properties.